During the past 20 years, we have experienced a social revolution with the internet. That social revolution has led our society on a path of exploration and possibilities that could only be imagined before. We have found a powerful tool that connects us to the world and inspires imagination of possibilities. Whether personal, professional or social, the doors to “what if” are wide open with the Internet. Along with the access to worldwide opportunities comes the inherent power of Big Data. Our mobility platforms and their access provide both social and business entrepreneurs invaluable data for marketing, business growth and social interactions. If managed properly, we are quickly finding Big Data management is the key to success in the realm of internet connectivity. 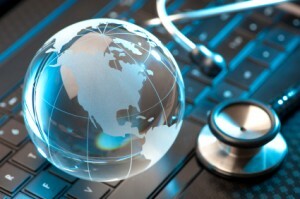 One market that has been slow to respond to this burgeoning enterprise of Big Data is healthcare. They are a reluctant lot of professionals when dealing with this new phenomenon. Physicians and healthcare practitioners, by trade, are scientists that practice a craft perfected over centuries. The care and healing of the sick is a fine art not easily swayed by practices that are not proven through endless trials and experimentation. Patient care requires the attention of scientists delivering care through proven methods to the body and mind. These practitioners require solid and factual evidence in method that Big Data is only on the cusp of realizing. With the advent of the Electronic Medical Record (EHR) in the ever present environment of managed care, healthcare practitioners are slowly rising to the realization that Big Data can be an ally across all fronts of their field. Proper management of Big Data in Healthcare can provide significant results in the proper diagnosis, treatment and long-term care of patients. In the US, we currently spend $2.5 trillion dollars a year and waste over $750 billion on unnecessary and overpriced tests and treatments, administrative fees, medical fraud and missed prevention opportunities. A report released in September 2012 by the Institute of Medicine suggested the money squandered on services that failed to improve Americans’ health could have provided health insurance for more than 150 million workers or covered the salaries of all of the nation’s first responders for more than 12 years. Further, the report considers that 75,000 deaths might have been prevented if states delivered higher quality care. There is so much that has been accomplished in the past two decades with information technology, couldn’t healthcare derive the same value from its Big Data? Considering the risk and high stakes of the industry, the answer must be “Yes”. An effective and strategic plan implemented by healthcare can manage their Big Data, which surely can provide better clinical outcomes and a more solid financial position in the years to come. Using smart tools like data cleansing and record linkage software can help healthcare organizations big and small achieve the success they desire.